A longtime Visiting Professor at St. George’s University, Dr. Ogilvie assumed the role of Dean of the School of Veterinary Medicine in January 2014. He came to Grenada from the University of Prince Edward Island, where he was Dean of Atlantic Veterinary College (AVC) from 1998 to 2008, as well as a faculty member for more than 25 years. Dr. Ogilvie joined AVC as a founding faculty member in 1985 following his appointment as the director of the animal industry services branch within the Prince Edward Island Department of Agriculture and Forestry. Dr. Ogilvie has also served in private practice, through government appointments, and at academic positions in Cornell University. Dean Ogilvie has taught in both graduate and undergraduate courses, mentored students, authored/edited a book, written numerous papers and other articles, and served on several editorial boards. He has helped garner funding to establish a national Virtual Veterinary Medicine Learning Community, established one of the first Veterinary Camp programs for youth in North America and held leadership roles in organizations such as Genome Atlantic, the Wind Energy Institute of Canada and as Chair of the PEI Lobster Industry Roundtable. He has also provided international leadership in veterinary education and animal health through his service to organizations such as the World Animal Health Organization’s Committee on Global Veterinary Education (CGVE). 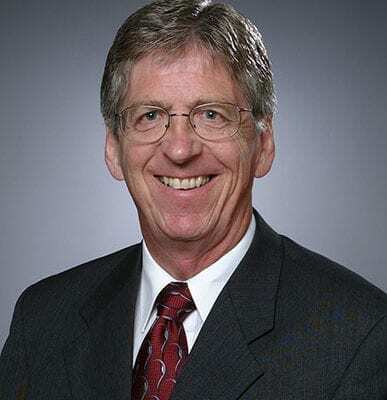 Dean Ogilvie earned his DVM in 1975 and his MSc in 1982 from the University of Guelph. In 2014, he was awarded an honorary Doctor of Laws Degree from this university to recognise his outstanding and ongoing contribution to veterinary medicine throughout his nearly four decades in the field. Dr. Ogilvie is board certified by the American College of Veterinary Internal Medicine.